In the Future, Survival Depends on the Latest Updates. New version of Mandatory Upgrade: X Marks the Spot coming soon to PC & Mac. As mentioned earlier on the Ironic Iconic Studios website, I’ve been working on a Unity port of Mandatory Upgrade: X Marks the Spot! It’s a new version of my award-winning cyberpunk mystery game that you’ll soon be able to download and play on your very own computer. I don’t have a ton of details to give you yet, except that it will feature some updates to the design of the game and new artwork by yours truly. Indeed, you may have already noticed the sneak peek at the new art style that I’ve included at the top of this very post. I hope you like it! Stay tuned for further announcements as I get more info to share. After plenty of encouragement from my manager and sig other, I’ve decided to write a novel based on my Mandatory Upgrade short fiction and game projects. This decision also happens to conveniently coincide with a contest being run on Inkshares, the book crowdfunding site, featuring the folks at Geek & Sundry, creators of buckets of geek-themed web shows. More contest details are here, if you’re interested. The book is going to revolve around the character of Rachel Varley and her adventures with NASIA and the enigmatic Arcadia Ego. It will include some material from the short story, the Hobbyist, and my game, X Marks the Spot, but will go much further beyond that, exploring the world of Mandatory Upgrade in more detail and chronicling the events that occur after X Marks the Spot. You won’t want to miss it. If you’d like to help me to create this book, then the best way would be to pre-order a copy of the novel through this link. Other ways would be to share the link to the book with your friends and family and to recommend Mandatory Upgrade via the Inkshares page. Please feel free to do any or all of the above and know that you have my deepest gratitude for your support. 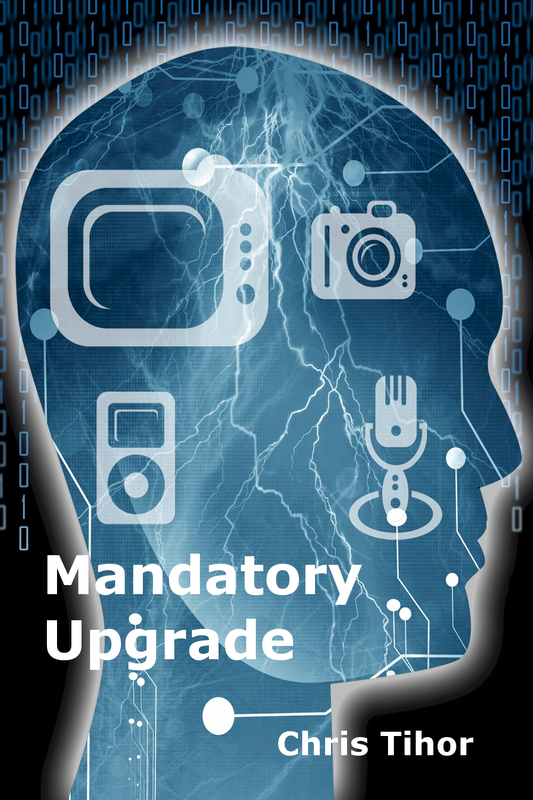 Thanks again for your interest in Mandatory Upgrade and if you haven’t yet, sign up for the Mandatory Upgrade newsletter for project updates and possibly some tasty treats. As a follow-up to the release of our first Mandatory Upgrade themed video game “X Marks the Spot“, this week I’m posting the short story that was the inspiration for the game. The Hobbyist is a prequel to X Marks the Spot and was written as an exploration of some of the themes and technologies of the Mandatory Upgrade world and how they affect the people who inhabit it. When it comes to role-playing games, it’s sometimes too easy to get caught up in the whiz-bang technology, or magical or otherworldly aspects of the setting and forget about the thing that really makes RPGs work: characters. I find that the best way for me personally to get a handle on a new world, fantastical or not, is to write some fiction set in that world from the point of view of those who live there everyday. The Hobbyist is the happy result of this process. The story takes place before the events in X Marks the Spot at a time when Rachel Varley has left active service with NASIA to settle down with her partner and start a family. As you’ll discover when reading (and from the video game, if you’ve played it), her plans don’t exactly work out the way she expected. Whether you’ve played through X Marks the Spot or you’re new to the world of Agent Varley, you’ll be sure to enjoy this glimpse into life in the near-future world of Mandatory Upgrade.